Whilst not as popular with the British as Tenerife, Gran Canaria is an accepted choice for winter sunshine, around four hours’ flight time from the London area. Heathrow is now to join Gatwick, Luton and Stansted with services, British Airways adding a two-class Airbus A320 weekly flight from the start of the winter season 26 October out of Terminal 5. Turkish Airlines has expanded its services from Gatwick to Istanbul, with Turkey’s national carrier now offering flights to both of Istanbul’s airports. Following a succession of recent brand introductions in the Iberian Peninsula, Hilton Worldwide has announced that its DoubleTree by Hilton brand is set to arrive in Portugal. OAG’s latest airline capacity data reports that airlines worldwide will see an increase of 2% to flights in May 2013 versus last year, and an increase of 4% to seats. This means carriers globally will operate 14.7m more seats, equivalent to 475,000 additional seats every day compared to May 2012. Over half of this growth comes from the Asia/Pacific region. The market within the Asia/Pacific region continues to see strong growth again this month with an increase of 7% to flights and 8% to seat capacity. 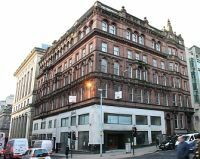 Glasgow has a new business hotel positioned right in the heart of the city. The Park Inn By Radisson Glasgow City Centre has 91 guest rooms. One of London’s most iconic hotels, the St Ermin's, has joined Marriott's Autograph Collection. It was previously the Accor MGallery. The St Ermin’s has 331 guest rooms including 41 deluxe suites and the wonderful galleried Crystal Ballroom with a capacity for up to 120 diners. 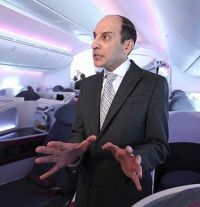 Qatar Airways has quickly followed Ethiopian Airlines (see BTN 29 April) in putting its 787s back into service after the worldwide grounding of the aircraft in January. Initially the airline will use the aircraft on regional routes before resuming daily services to Heathrow on 15 May. 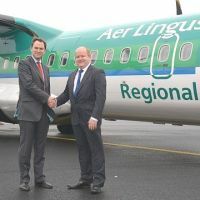 Flying as Aer Lingus Regional, Aer Arann has taken delivery of its initial ATR 72-600 turboprop aircraft. The aircraft is the first of eight of the latest variant on the ATR, which first flew in 1984. Currently the order book for ATR, whose assembly plant is part of the Airbus complex at Toulouse, stretches out to 1,260 units. 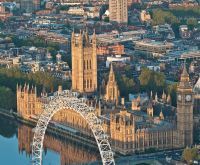 Following an initial price proposal on future London airport charges by the CAA last week, there has been an outburst by airports, airlines and trade organisations. 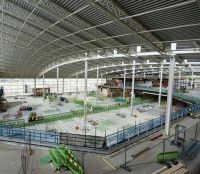 The CAA’s proposals for each airport will be published in October with the final decisions on market power, economic regulation and final licences due out in early 2014. 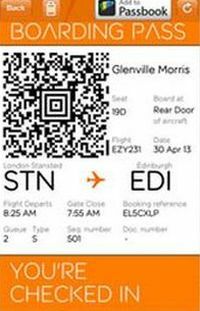 Mobile boarding passes are being trialled by easyJet, another step in the direction of completely paperless travel. The UK’s largest airline is now testing the system at Amsterdam, Edinburgh, Manchester, Nice, Stansted and Southend airports. easyJet says that passengers travelling from the airports included in the tryout can now check-in in less than 10 seconds, download and store their boarding passes on iPhone and Android phones. Peter Duffy, Marketing Director for easyJet, commented: “Following a successful trial, we will be working with each of the airports in order to rollout the function across the network. The assessment will also be extended to include multiple boarding passes on the same device so that families can all check in using one or a number of mobiles, depending on their preference”. A very serious row is developing as the State of Qatar makes efforts to move the International Civil Aviation Organization (ICAO), an agency of the United Nations, from its long-established base in Montreal to Doha. The tiny Gulf State, with an ethnic population of less than a quarter million (about the size of Norwich), has in recent times attracted the FIFA World Cup and various international operations. 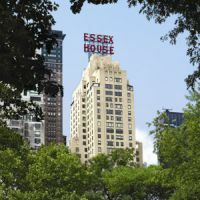 JW Marriott has added one of New York’s most historic hotels to its collection. Ryanair has introduced a new route to Szczecin in Poland from Bristol Airport. This brings to nine the number of Polish destinations served by the airline from the airport to nine. This is the largest number of direct routes operated by Ryanair from any British airport outside London. VisitEngland has released the latest results of its Motorway Service Area (MSA) Star Ratings scheme, revealing a rise in quality across the board. 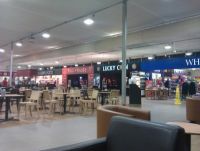 Cherwell Valley in Oxfordshire (M40) was awarded 5-star status for the first time, with family-run Tebay South in Cumbria (M6) also retaining its 5-star rating for the second year in a row. Overall, there was a 12% increase in the number of 4-star ratings compared to last year, with 90% of participants in the scheme awarded a 3-star rating or above. Some thoughts after last week's English local elections. This latest facility replaces the old executive lounge, increasing the space available by 50% and introducing a range of product improvements for passengers wanting to relax in style before boarding a flight. With kitchen facilities now included hot food to be provided for the first time, alongside snacks and premium brand drinks. 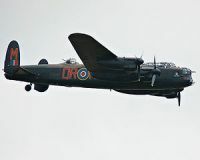 Brooklands Museum is marking the 70th anniversary of the historic 'Bouncing Bomb' raids of May 1943 – and the role played in them by Sir Barnes Wallis and the Vickers Aviation factory at Weybridge – with special events over the next two weekends. 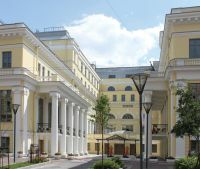 St Petersburg, which now likes to call itself Russia’s cultural capital, is to have a new 5-star hotel with a unique concept: The State Hermitage Hotel is scheduled to open in summer 2013 and will be the only official hotel of the State Hermitage Museum. The hotel is located on Pravda Street in the centre of St Petersburg and about a 30-minute walk through some of the most interesting parts of a city with a rich heritage. A London helicopter sightseeing service has been launched from The Barclays London Heliport in Battersea by London Helicopters Tours Ltd. 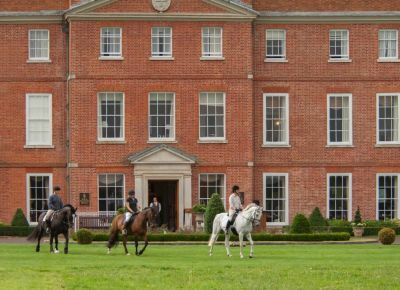 The new London service will bring unrivalled convenience to what is a breathtaking experience. 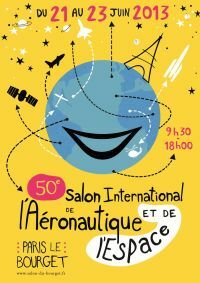 The Royal Aeronautical Society’s headquarters in London’s Park Lane was the venue last week for the Paris Air Show to promote internationally its plans for next month’s extravaganza at Le Bourget (17-23 June). Whether it is the largest event of its type is debatable (Farnborough puts in a claim) but with 49 previous shows it is certainly the oldest. Spain’s Canary Islands are a new target for Ryanair this winter with the launch of 12 winter sun routes at the end of October. The airline's Boeing 737-800s will have no problems regarding range. The flight time, many sectors up to six hours each way, will require extra flight deck crew and cabin staff rest periods. Passenger reaction to some of the world’s longest single aisle aircraft flights remains to be seen. These are interesting times for the controversial carrier. 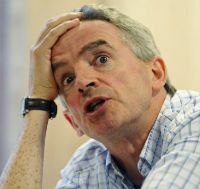 It has lost Commercial Director Kevin O’Toole to Manchester Airport; Stephen McNamara, Head of Communications, has departed to pastures new; and the carrier continues to live up to its reputation as the world’s most annoying airline. It has a current fleet of about 300 aircraft and forecasts profits for this year “in excess of €500m”.